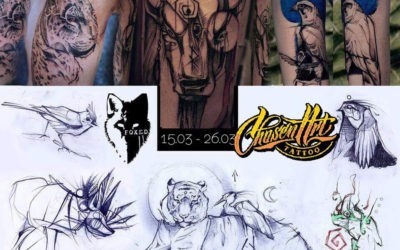 Chosen Art was started in 2009 by Brent Jannasch with a goal in mind to have an art driven shop full of not only technically skilled tattoo artists but true artists to their core. Brent and his all-star staff were able to build a strong reputation as a solid tattoo shop that consistently pumped out amazing artwork. In 2011 this reputation is what attracted a young tattooer named Eric “Trouble” Jones like a moth to a flame. Eric was determined to become an artist at this shop, letting nothing stand in his way. Brent took a chance and hired Eric, who proved in time to be a force in his own right. By 2013 Brent had started to feel the pains of owning and running a business. 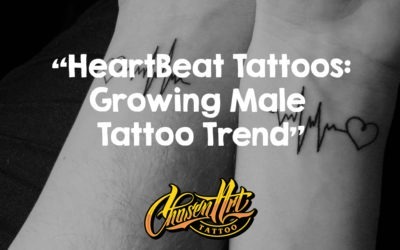 He decided it was time to throttle back to focus solely on his tattooing and art alone. Through the previous 2 years Eric had proven his character and business mindset, so he was approached by Brent with an offer to take over the shop and continue it’s more than stellar legacy. Eric has stayed the course with the same goal in mind, to have an artist shop always putting the art and quality ahead of all else. With this ideology, he approached the business with the mindset to fill the shop with artists who are all diverse and possess a unique skill to themselves. 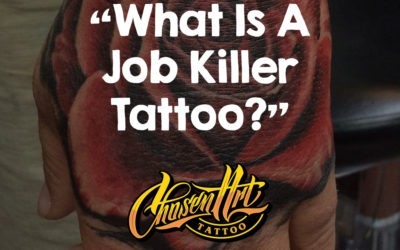 Every single artist at Chosen Art is hand selected by these unique skill sets as well as their winning attitudes and stand up character. The idea is that each artist possesses a skill that the others can learn and grow from. So that the collective never ceases to stop progressing as artists. The growth and knowledge will never stop because it is always being fed by unique abilities and the persistent urge to get better. As a very welcomed side effect, there is an artist in the shop for any kind of tattoo idea that a client could walk through the door with. 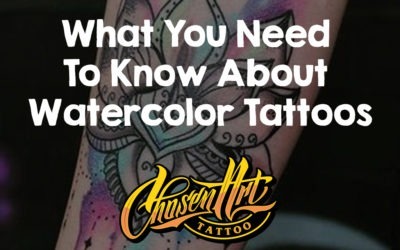 Chosen Art is without a doubt one of the most capable and versatile shops in Arizona. 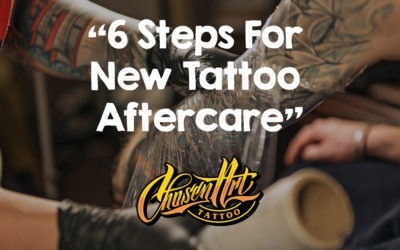 Our team of talented and experienced artists delivers quality custom tattoo work that you can be proud to wear on your body for the rest of your life. We take pride in maintaining a clean and professional workplace as well as an inviting art gallery where our artists and friends display their various work. 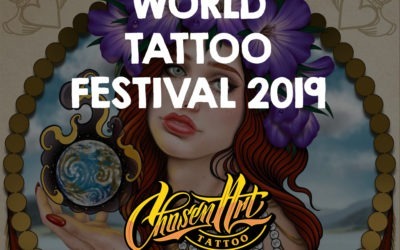 Our team of talented and experienced artists delivers quality custom tattoo work that you can be proud to wear on your body for the rest of your life. We take pride in maintaining a clean and professional environment as well as an inviting art gallery where our artists and friends display their various work. Come on in and check us out and stay tuned for upcoming events! I love this place. The owner, Eric, is AMAZING. His work, capabilities, and talent are out of this world with a personality to match. He is an expert at what he does and knows what he’s talking about. The quality is phenomenal, and the pricing is more than fair. He, along with any other artist at Chosen Art, delivers without a doubt. After going to Eric for my work, I couldn’t imagine going anywhere else. And I am honored to see my dad’s portrait featured on this page. I currently am getting a sleeve done by Trouble and couldn’t be happier, his work amazes me!! !…AWESOME color, beautiful designs and most importantly he has an extremely light hand. Chosen Art has a lot of very talented Artists…A few of my hands down favorites are Melissa,Diamond and Brent. Besides the talent the shop itself is very clean and a very chill atmosphere ..Definitely recommend Chosen Art Tattoo Studio!!! This was my first tattoo and it was an awesome experience. My artist was Mat and he did an amazing job on my piece. These guys really care about the quality they put out and have great costumer service. The artist are all chill and don’t have big egos like other shops. I will definitely be returning to get more ink!